The Streamlight Microstream flashlight has become my favorite EDC light. Whenever am going out, I ensure to include it in my pocket or backpack. Unlike other light brands on the market, this flashlight is very slim and doesn’t cost anything. I always attach it on my pocket clip and it has come to my rescue several times. I remember once when there was a blackout after heavy rains. This Streamlight Microstream led pen light came in handy and enabled me to reach home safe and sound. What type features available in this flashlight? Read this Streamlight Microstream review to know more about this pen flashlight. The Streamlight microstream light is made of durable anodized aluminum. This material is both impact resistant and waterproof. It has a tailcap switch which makes storage of the led light to be easy. The unbreakable and scratch resistant polycarbonate lens that the light has prevents the C4 LED bulb inside. The LED bulb has a life time of 30, 000 hours and produces a maximum of 28 lumens. The O-ring seals ensure that no water penetrates inside the light for longevity. 4 Why buy the streamlight microstream c4 flashlight? 5 What to look for when buying a small pen flashlight? EDC flashlights are amazing and will provide you with the light that you need and for shorter use. 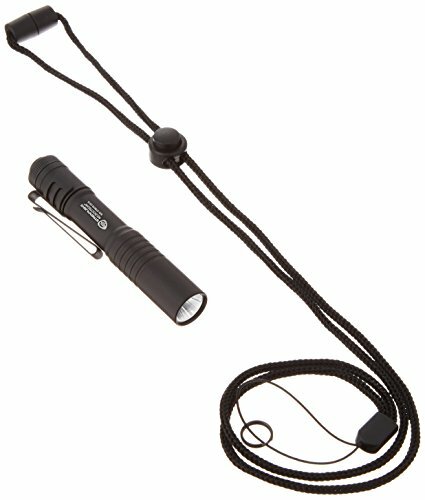 Normally, small flashlights like this one cannot be relied on by a person who wants extremely bright light that covers a wide area. This are meant for emergencies and they don’t usually last long. But they can allow you change your tire or find your way home when there is a blackout. In addition, the flashlight runs on one AAA alkaline battery and has a runtime of 2 hours and 15 minutes. With a weight of 1.04 ounces, you can travel with this flashlight to any place without feeling any pinch. Streamlight as well offers a limited lifetime warranty to buyers of its microstream flashlight. Why buy the streamlight microstream c4 flashlight? People want products that will last. So, when buying a flashlight, the first thing to look at is how durable is the light. Streamlight microstream is constructed from corrosion resistant machined alloy case with type II MIL-Spec back hard anodized finish. In addition, it has an unbreakable and scratch resistant polycarbonate lens that is O-ring sealed. These materials make this flashlight to be very durable and reliable to use. It has a maximum of 28 lumens. This is bright enough to offer the user with light that covers some few meters. The beam distance of the light goes up to 52m and 683 cd. This is great for such a small tactical light. It is powered by one AAA alkaline battery. These batteries can be easily found on the market. Also, they are cheaper compared to lithium ion batteries. They enable the torch to illuminate for 2 hours and 15 minutes before needing to be changed. The flashlight is very light and this makes it to be an outstanding for outdoor use. It weighs just 1.04 ounces. Storing the flashlight when not using it isn’t an issue as it has a pocket clip to attach on your pocket or on the backpack as you go about your duties. You can be rest assured that you are getting a quality product and not throwing away your cash. This is because the manufacturer offers a lifetime limited warranty. So, if the flashlight has an issue, the company will look into it and replace it. 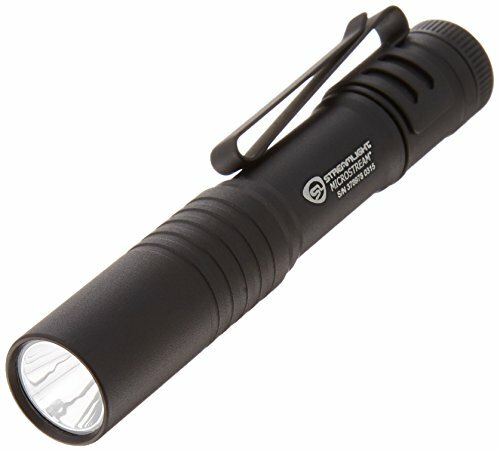 What to look for when buying a small pen flashlight? Construction – this is the first thing that you should look at when searching for the best flashlight. If the flashlight is made from poor materials, then, it won’t last for long. The moment it crashes or falls, that will be its end or it will start functioning poorly. Consider acquiring flashlights that are made from quality materials like polymer and aluminum. Streamlight is very keen on quality and you will find that most of their flashlights are built with either polymer or anodized aluminum. Type of battery – the second thing to consider is the type of battery that powers the light. Not all batteries offer the same results. For instance, alkaline batteries don’t last long when compared to lithium ion batteries. Lithium batteries have a longer run time and can be kept for several years. Alkaline batteries are easy to find and are as well cheaper. If you’re going in an area where there is no electricity or won’t be able to recharge the lithium batteries, have a device that uses alkaline batteries is a great idea. This is the case with the streamlight microstream light. Number of lumens – the brightness of a flashlight is determined by the number of lumens it uses and the type of bulb it has. Most of the latest flashlights use LED bulbs which are impact resistant and have more hours when compared to incandescent or any other type of bulb. If you want a very bright light, then you should go for one with higher number of lumens. The brighter the flashlight the more battery power is utilized and the shorter the run time. Purpose of the light – before you choose on a particular flashlight, you should consider what you’re going to use it for. Brands like streamlight have several lights on offer for different uses. They provide keychain lights, tactical, lights, EDC flashlights, weapon lights, and many others. Knowing the kind of torch you want will help you benefit more and have a simple time using the device. The streamlight microsteram edc flashlight is suitable for camping, home, and even for emergency use. Price – don’t buy a flashlight because it is highly priced. Buy a flashlight because it has the features that you’re looking for. Some LED lights are highly priced but don’t live up to expectations. Consider looking at online reviews for the best lights for different functions. Streamlight has different lights at different prices but they are very reliable. Most of their flashlights are favorably priced but still deliver quality results. Brand – the brand from which you buy your flashlight matters a lot. This is because there are brands that pose as the best but offer poor products. Ensure that you go through different online reviews before buying a particular flashlight. One of the notable flashlight brands is streamlight. It creates quality flashlights and can be relied on in different weather conditions. Having a flashlight with you can mean a lot. Nobody knows when they will need it but having it makes you feel safe and well prepared. If you are like me and don’t like carrying heavy things, then the streamlight microstream flashlight is a great light to have. It is compact in design and comes with a clip for attaching on your pocket. It is sturdily built and can withstand tough conditions. The 28 max lumens it comes with are enough to offer you bright light in your room or on your path to home. When you buy this light, Streamlight offers you a lifetime limited warranty. I hope this streamlight microstream review article have given right direction about this flashlight.